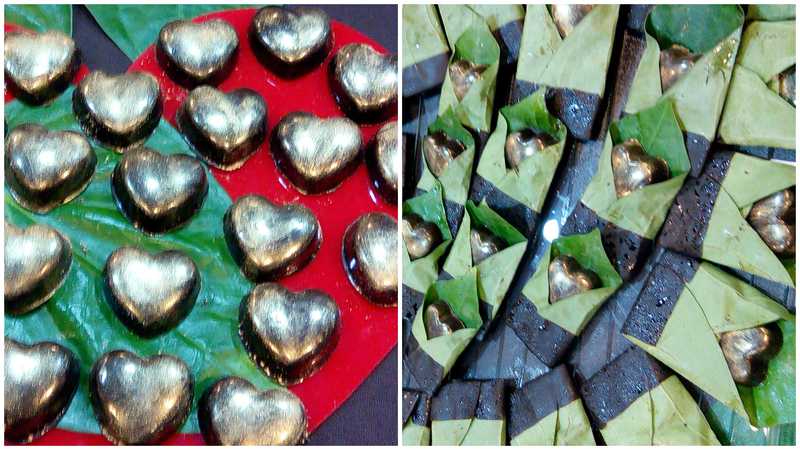 “Love makes the world go round, but chocolate makes the trip worthwhile”. I read this quote somewhere, and I couldn’t agree with it more! I am a die-hard chocoholic and I truly believe that chocolate is a beautiful creation- incredibly delicious and satisfying, scientifically proven to be good for us, and immensely versatile. You can have it bitter, sweet, extremely sweet; you can mix it with nuts, fruits, herbs, spices- the list is endless! 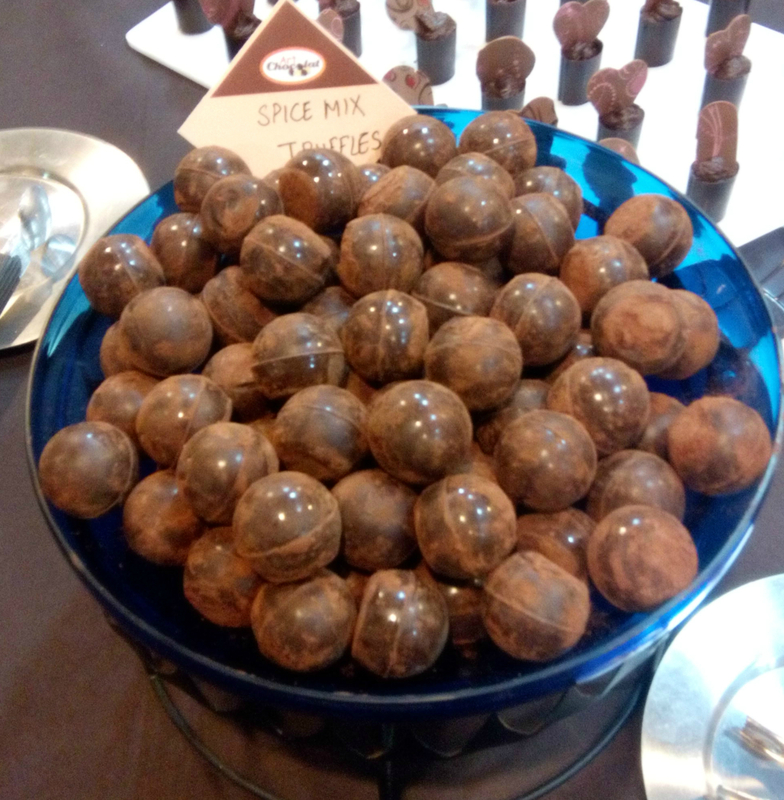 Select CITYWALK, New Delhi recently held a Chocolicious Festival, and one aspect of the festival was the Chocolate Appreciation and Tasting Session organized by Art Chocolat, and I was invited for the Critics Preview of the same. 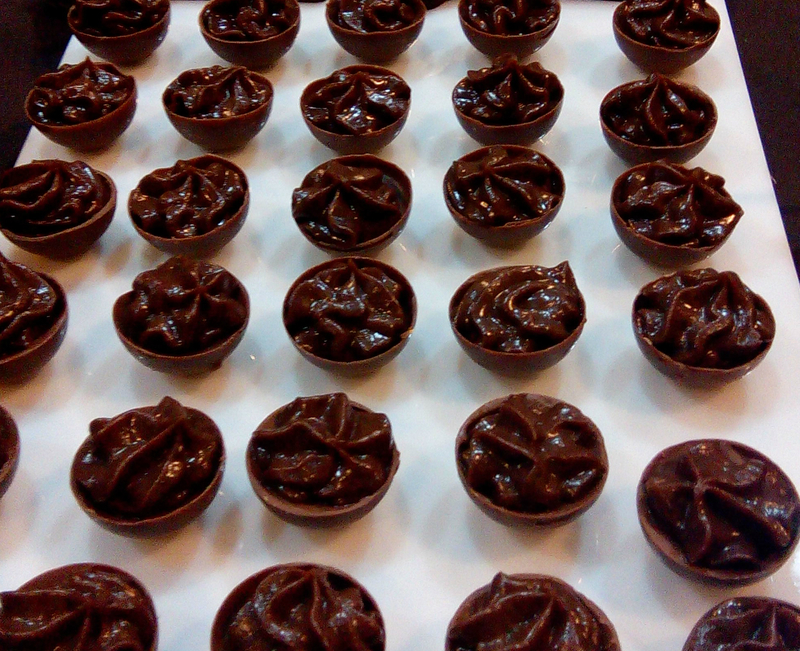 Spice Mix Truffles: Dark chocolate mixed with five-spice mix. I love the combination of chocolate and spices, but this one was a bit too strong for my liking. 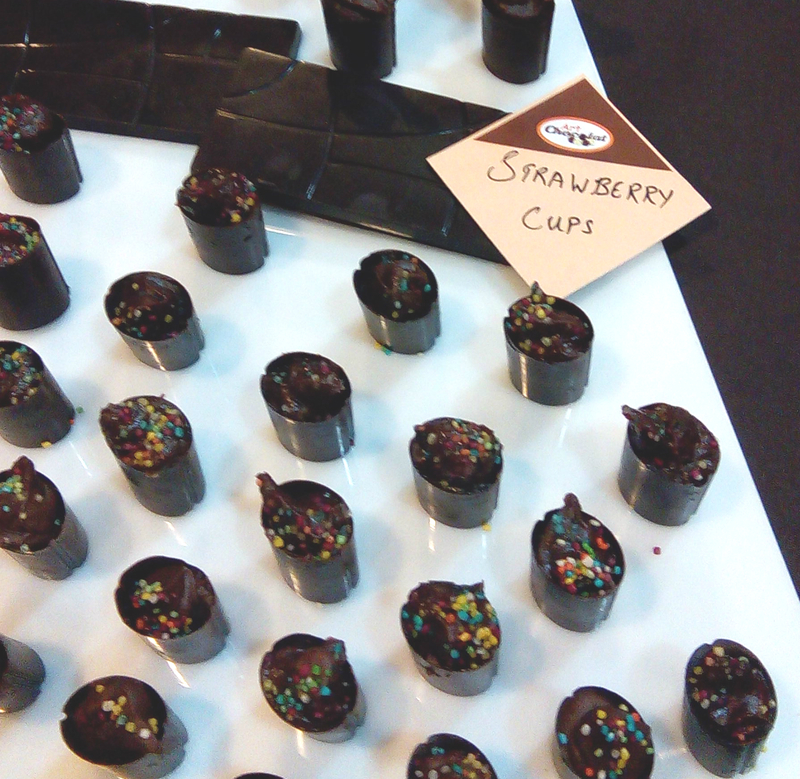 Strawberry Cups: Chocolate ganache with strawberry- a beautiful combination of tart and sweet. Green Apple: A very innovative combination and was beautifully presented but the green apple flavour was a bit too mild. 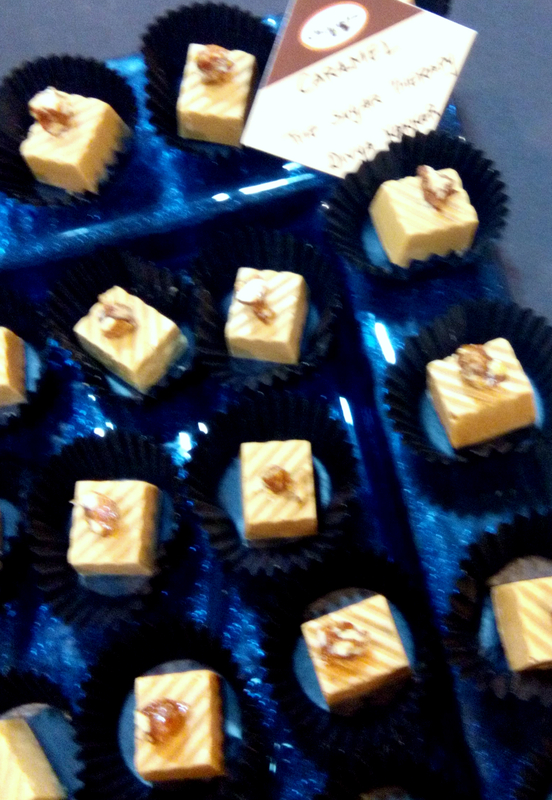 Caramel: White chocolate, cooked to achieve a light-brown caramel colour, filled with caramel- a really well made chocolate. Kesar: Saffron is a beautiful ingredient and it lifts the flavour of anything it is added to, but the proportion has to be just right. 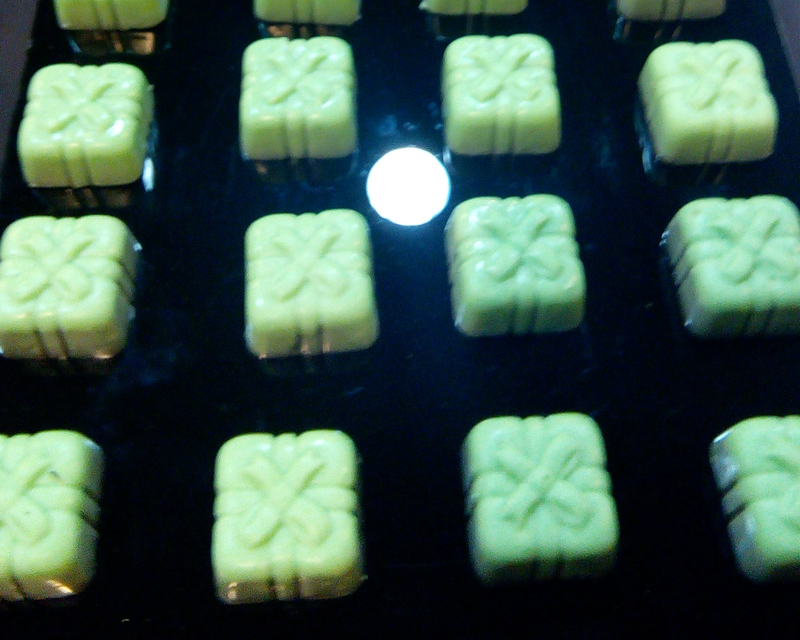 Here it was combined with white chocolate, and though the saffron flavour did come through, the chocolate was too sweet for my liking. Kewda: A combination I have never tried before- this was a good interpretation of what an Indian-style chocolate would be like- it tasted so similar to our desi mithais, and was quite interesting. 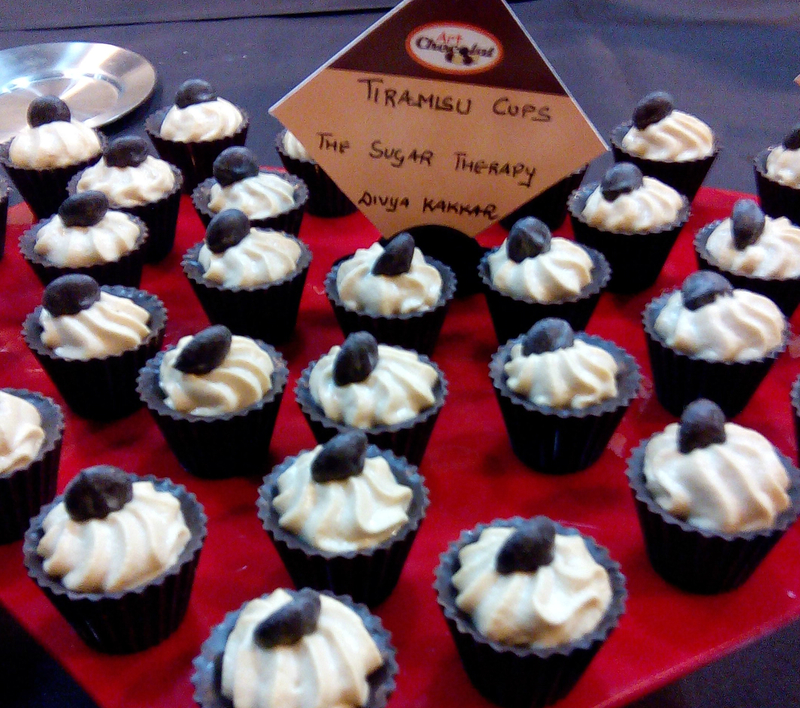 Tiramisu Cups: It had all the flavours of the classic Tiramisu- coffee, chocolate and cream, and tasted quite nice. 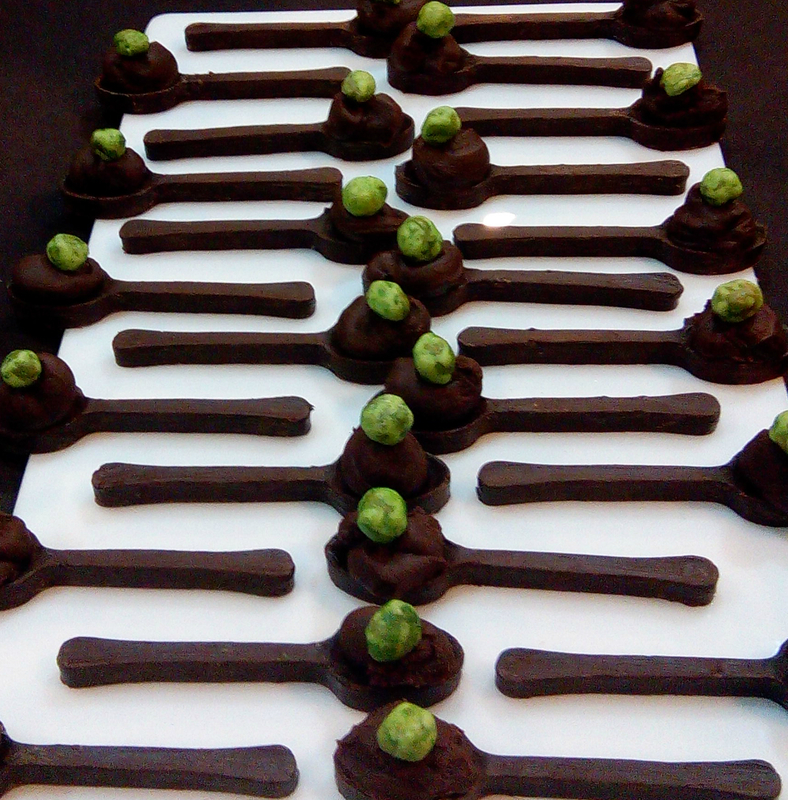 Wasabi Spoons: Chocolate in the shape of a spoon- topped with wasabi-flavoured chocolate. It had a strong wasabi flavour, which personally I don’t like much, but for wasabi lovers, this is worth trying. Sichuan Pepper Cups: One of my favourites out of the whole tasting table, this chocolate had the right amount of spice- first you get the sweetness from the chocolate and then the spice hits you, just like it should be. 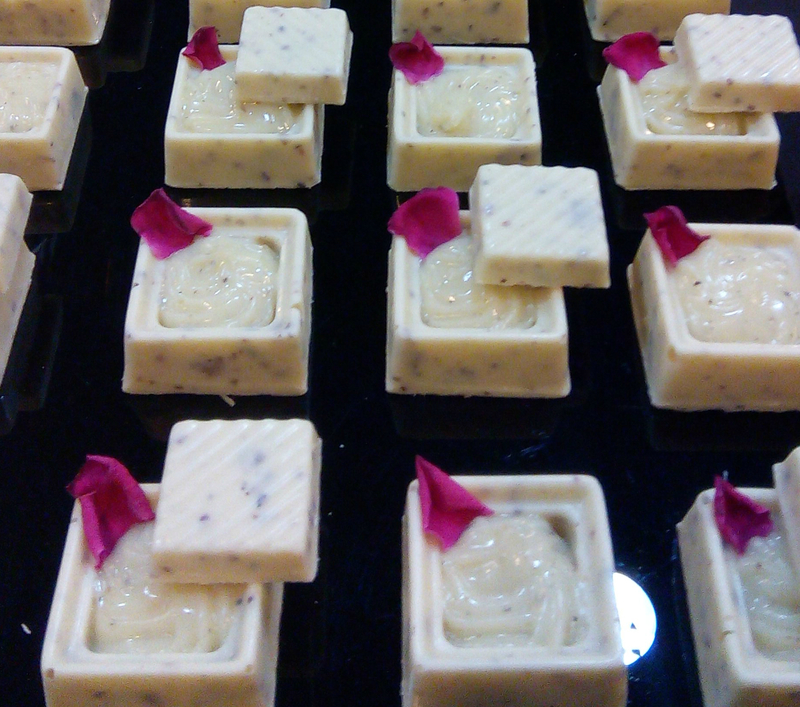 Rose and Elaichi: White chocolate combined with rose petals and elaichi flavours. It again tasted a lot like Indian mithais and the flavours were nice, but had the size of the chocolate been smaller, it would have made for a more composed bite. Honey Tulsi: Tulsi with chocolate sounds weird but tasted quite nice- the honey and tulsi counterbalanced each other well. 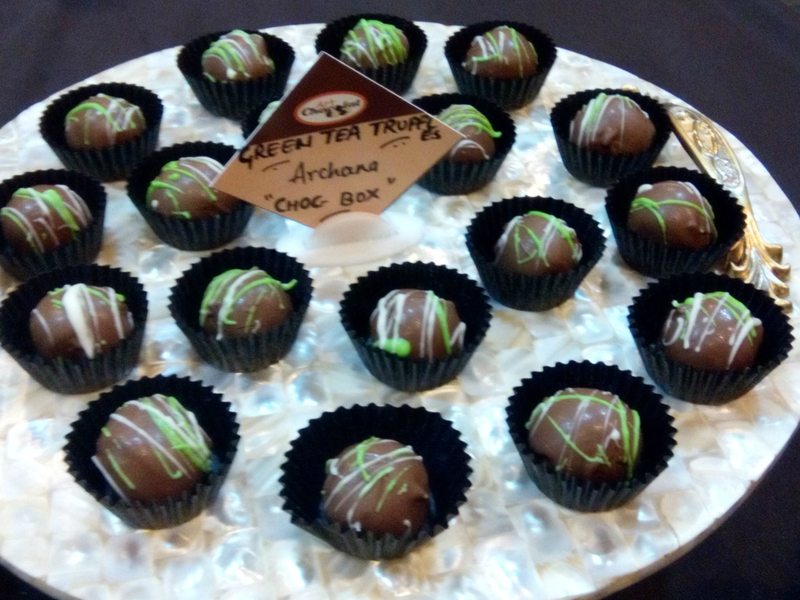 Green Tea Truffle: Who would have thought of combining green tea with chocolate? Since green tea has a subtle flavour, I thought it would be overpowered by the chocolate, but here you could taste the mild green tea. I don’t like the taste of green tea otherwise, but this is one form of green tea that I won’t mind having. Pan Chocolate: I’m sure most of us have had the famous Chocolate Pan at Prince Pan, so we know this combination does work. 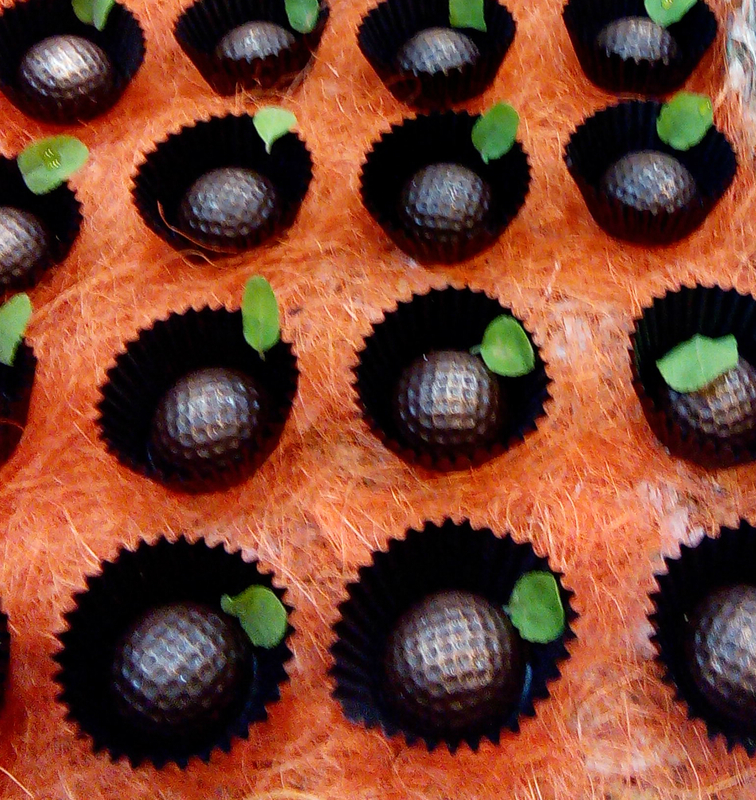 The chocolate had a filling of gulkand and betel leaves and was quite refreshing. Kiwi Chocolate: An interesting combination, and it was good, but not great. 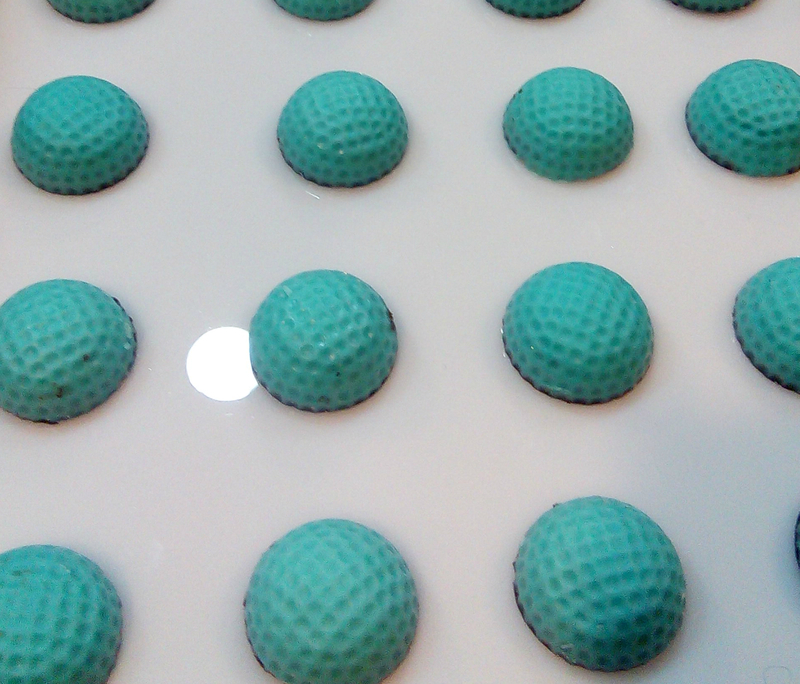 Blueberry Chocolate: The chocolates had a nice light blue colour and were filled with a blueberry crush. This again was delicious and was one of my favourites. 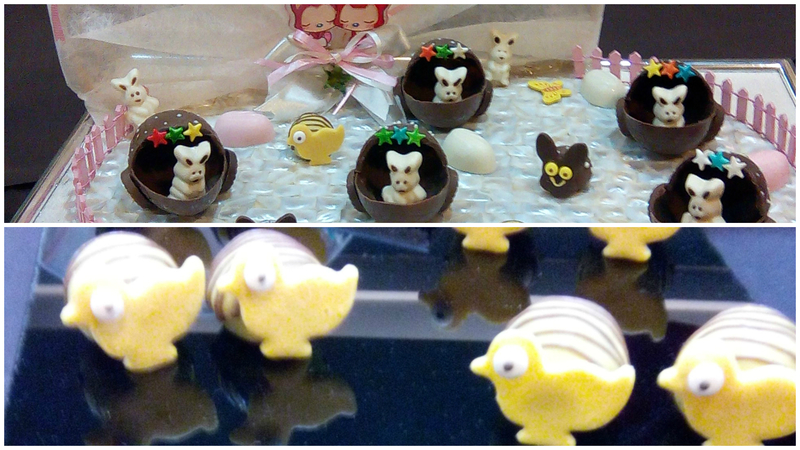 Besides these lovely flavoured chocolates, there were also some chocolates which were more of a visual treat. 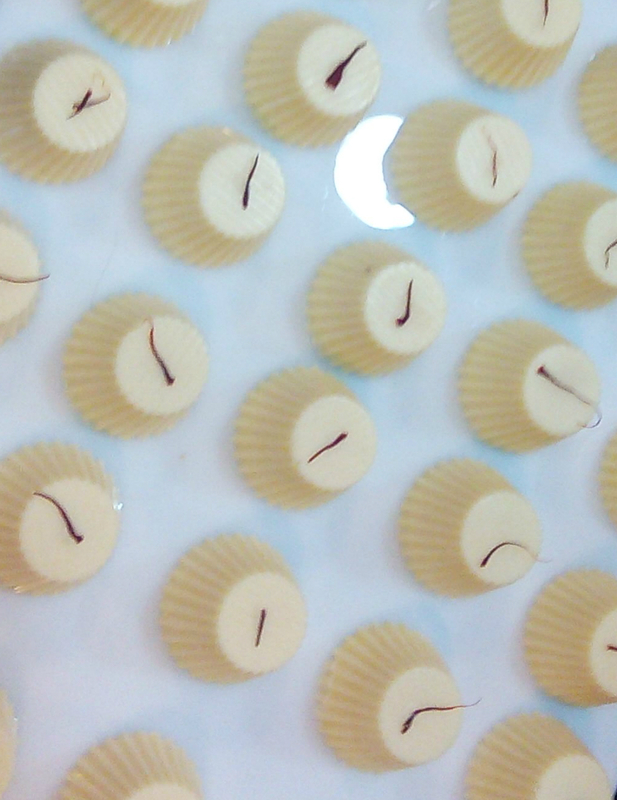 After attending the session, my take-away was that chocolate-making is an art and it requires a lot of skill, and we should definitely be more experimental with our chocolate flavours. It is great to see that we have people who are working with some much dedication in this field and I’m sure there is a lot more innovation that we can expect to see from them in the future! 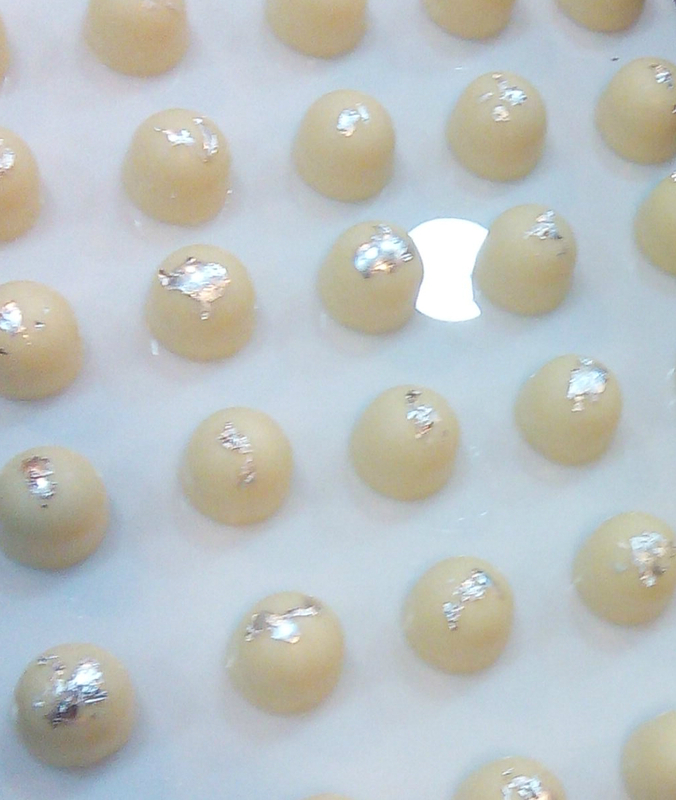 Art Chocolat is a premier chocolate training academy based in New Delhi offering courses in chocolate making, chocolate packing / presentation, and chocolate bouquets. 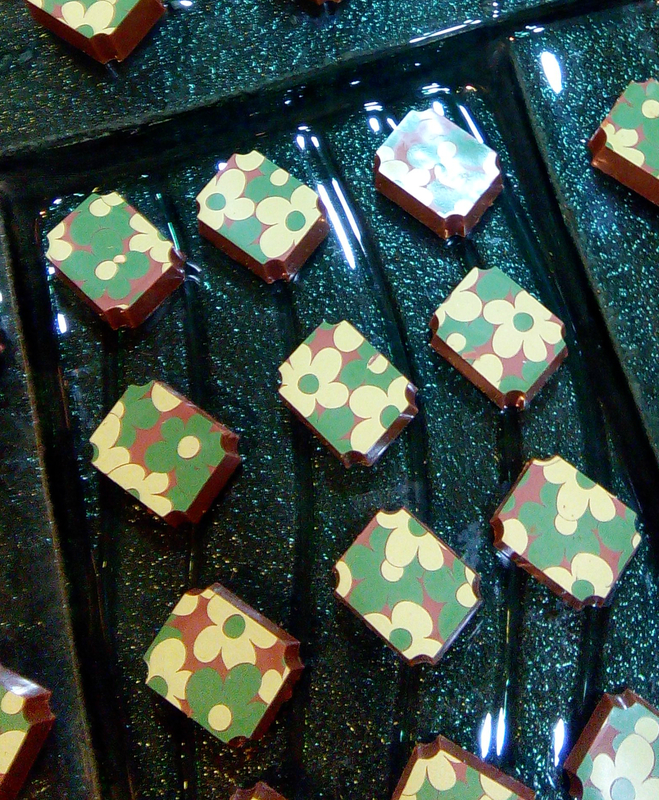 To find out more about Art Chocolat, check out their website here or Facebook page here.